The Compact is a solid Aluinium pencil with brass inner parts The body of the pencil is a solid piece of machined almumium with an hexagonal shape. The corners on the body are a bit sharp, especially when compared to e.g. those of the octagonal Kaweco Sport pens. Nevertheless I like the way it feels in the hand! 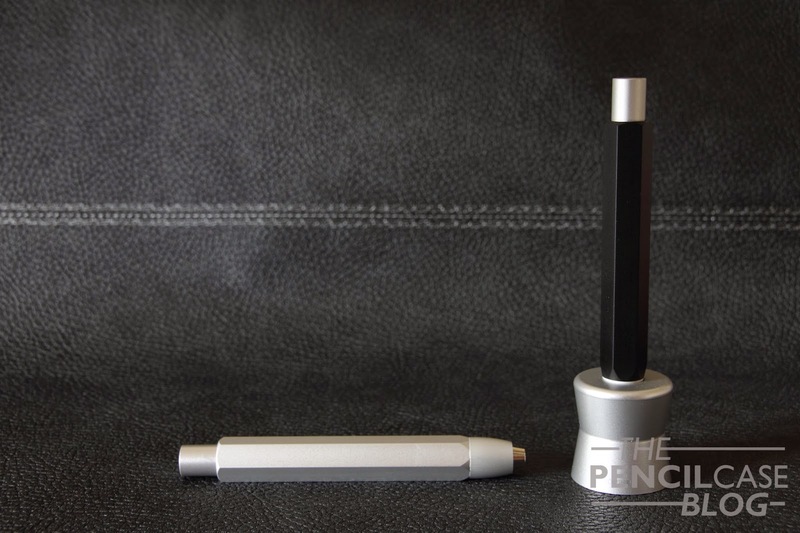 The size is quite comparable to that of a Kaweco sport pen or pencil, it's a hair longer and a tiny bit thinner. It's not a huge pencil, but hey, what did you expect from a pencil named 'compact'?! The construction quality of this pencil is absolutely second to none, with little or no machining marks visible. 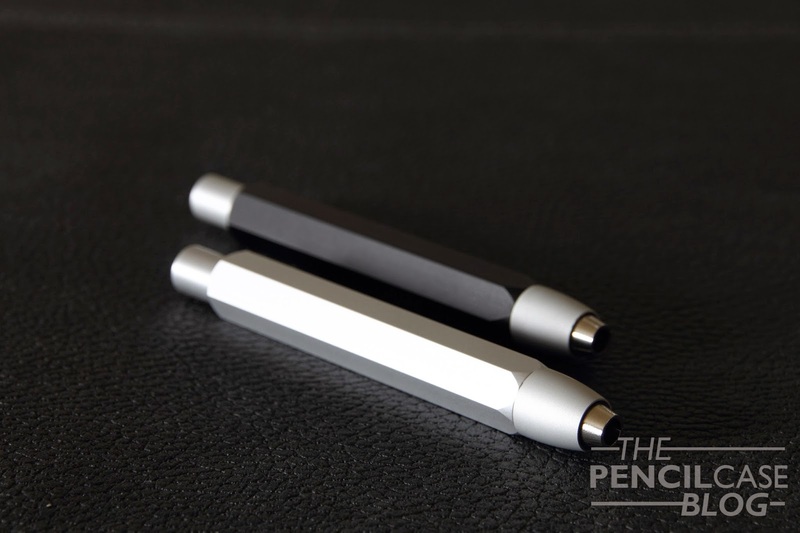 Fit and finish are also excellent, except for the tip of the pencil having a slightly too large diameter in comparison to the body, this results in a very small step from tip to barrel, but it's barely noticeable when you hold it. The design is kept very minimal. Round front section and pushbutton, an hexagonal barrel, and no branding except on top of the pushbutton. 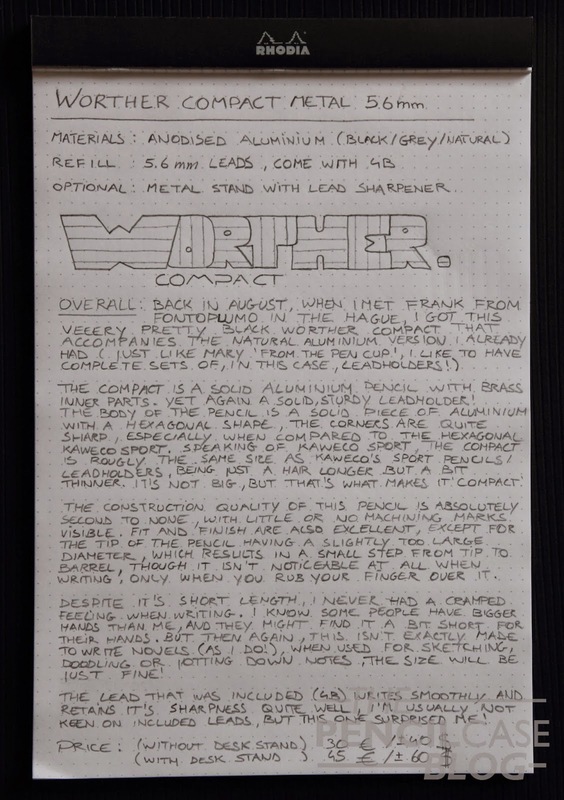 When you compare this one to the Koh-I-Noor 5312 leadholder I reviewed a few weeks ago, you'll notice that they are designed for completely different uses. 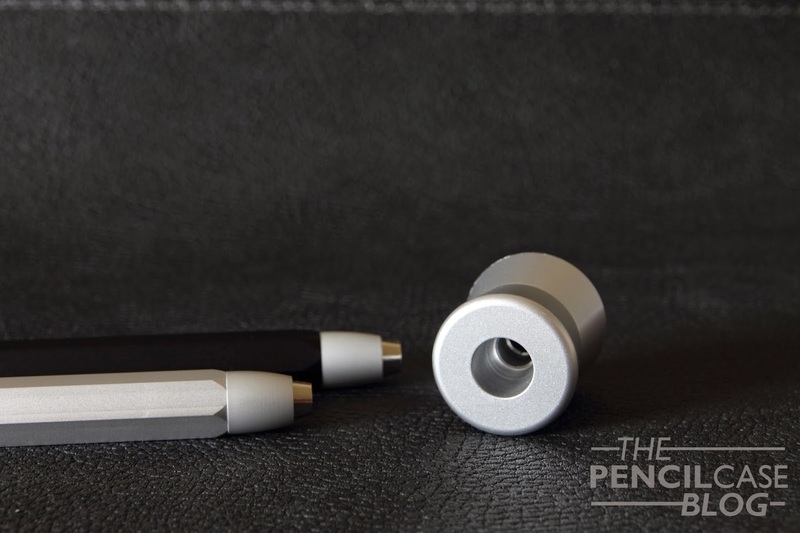 The Koh-I-Noor has a built-in sharpener and a clip, whereas the Compact has neither of these functions. The Compact clearly isn't made for sketching trips, being much less practical on the go. 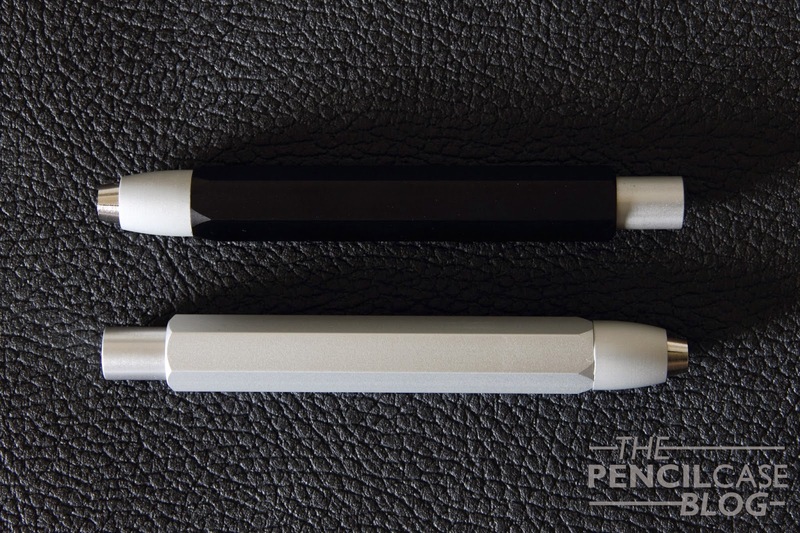 It's meant to be used as a desk pen, or rather desk pencil, which is where the desk stand comes in play. The desk stand too is very well-designed, and it looks quite nice. It's not too big, but it does the job. It also incorporates a sharpener. Despite its short length, I never had a cramped feeling when writing. I know some people have bigger hands than me, and they might find it a bit too short to be comfortable. But then again, we shouldn't forget that this is a leadholder, it's not made for writing, it's a sketch tool. 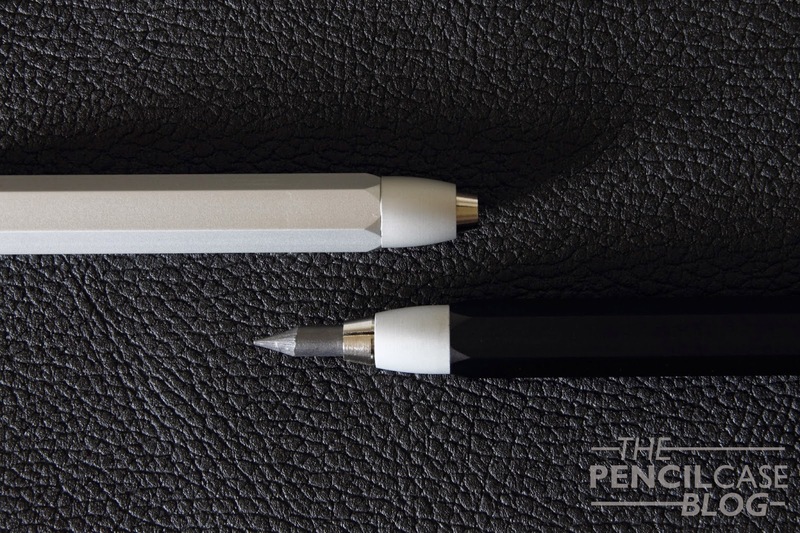 Use it for sketching and taking notes, and you'll have no problem with the length. 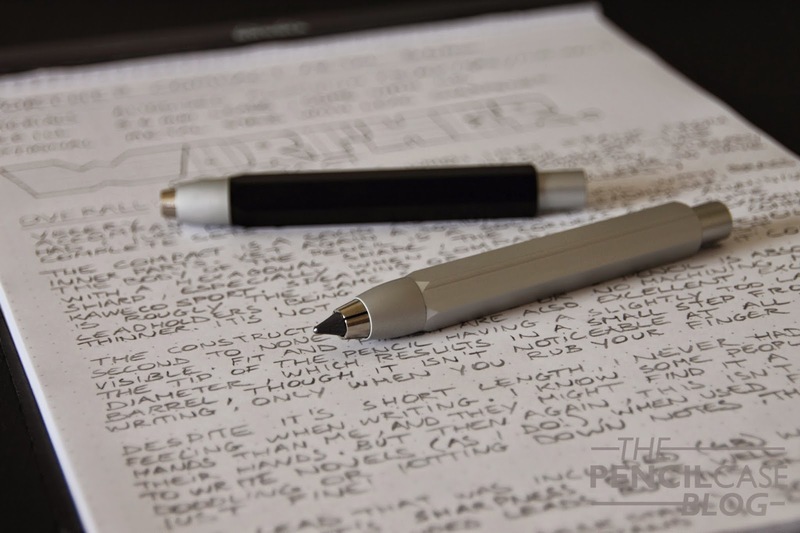 The soft 4B lead that came with it writes smoothly and retains its sharpness a lot longer than I had expected, I was able to write the complete review without sharpening! I'm usually not so keen on included leads, but this one surprised me! Considering the amazing build quality of these beauties, I'd say their price tag of 30 Euros/ 40 USDollars (without the stand) is quite reasonable. The gift set with the optional base is a bit on the expensive side though, you'll pay a hefty premium of 15 Euros/USD, which is a just bit too much for a desk stand if you ask me. 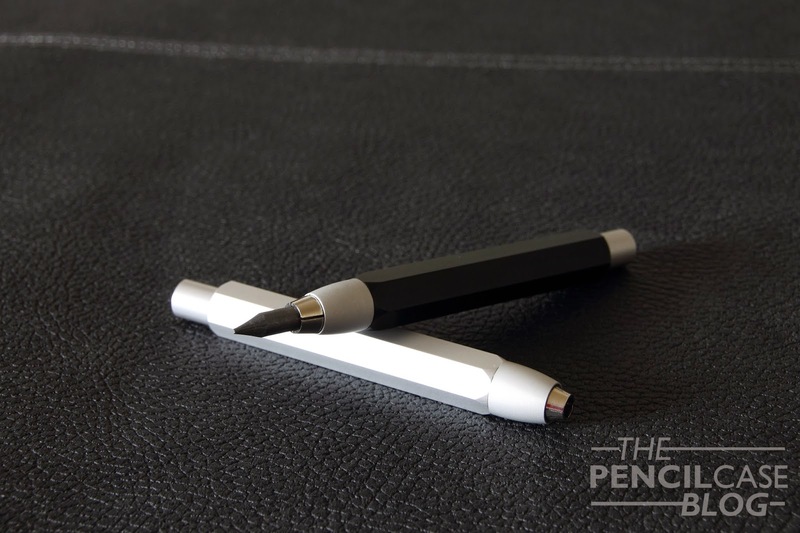 Note: this pen was given to me by Fontoplumo, free of charge, so I could write this review. I was in no way influenced in the making of this review, nor was I monetarily compensated. The opinions shared in this review are completely my own!